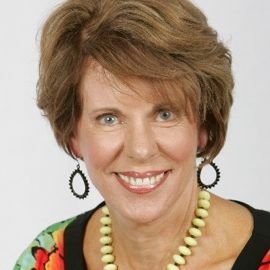 Emory Austin is an internationally sought-after speaker who will elevate the way your participants view themselves and their varied role in your mission. Her exceptional gifts as a strategist allow her to connect life lessons to business insights with presentations that are unforgettable, delightfully humorous, and profit producing. Clients line up to hear and use her approaches to leadership development, change, balance, customer service and teamwork. It's all about subjective human attitudes and action choices in an objective electronic world, and Austin builds a bridge between the two that is both realistic and visionary. Austin's busy calendar is filled with national and international clients in almost every industry- agriculture, banking and finance, insurance, business and social groups, chambers of commerce, chemicals, pharmaceuticals, electronics, education, food service, governments, healthcare, manufacturing, telecommunications, churches, retail and direct sales, publishing, real estate, charities, and utilities- and, she is invited back. Again and again. She is recognized as a great women keynoter, and was chosen in 1999 as the recipient of the National Speakers Association's highest honor, the Council of Peers Award for Excellence- Speaker Hall of Fame- for her expertise, style, professionalism, reputation, and overwhelming audience response. She was one of only five professional speakers selected for this distinguished commendation in 1999, and the sole woman honoree. Austin's focus is on the solutions necessary for success in today's chameleon-like, constantly shifting and changing business climate. Our e-culture world is hungry for solutions that build balance between cold technology and warmer people skills. Austin's experience with leading international minds is a driving force in her acute analysis of ways to make this happen for your organization. Her results in leading a national management firm and her later founding of SUITE 1000, a prestigious communications corporation, catapulted her to the forefront of entrepreneurial strategy planning. Austin was the three-year host of an issue-based television show, and has been featured in best-selling Simon and Schuster anthologies by request of the publisher. "How swift flows the tide that bears you alonghow crucial the choices you make day by day." (from one of Emory's poems) Change presents our most constant challenge as well as our greatest opportunity. We resist change even as we speed toward it. Learn how to compete smarter, lead smarter, work smarterall while keeping up, getting ahead, keeping sanity intact, and increasing your value for a vital future! Staying up and motivated during down times is central to pushing the edge in today's unpredictable economy. Renewed purposefulness can create a vastly different and far more profitable scenario than merely spinning your wheels on the "status quo plateau." Warning: Getting too comfortable with todays success is a death sentence. The comfort zone too soon becomes the deadly zone. Emory presents how to elevate your flight pattern and set higher goals, while moving beyond where you are today to meet the future's unpredictable demands. Don't be overcome by attitude gridlock and get stuck in a holding pattern that could become a vision killer. Learn that intelligent risk-taking adds zest and sparks the clear-sighted strategies and actions that lead to success! Do you ever feel like you're standing on one leg and flailing your arms wildly just to stay upright? The responsibility for balancing success and personal happiness is yours alone. Balance and realistic self-esteem begin with insights that often come our way in those unexpected "happenstances" that affect attitude and lead to clear-eyed self-examination and stronger goal focus. Balance consists of building on strengths and finding your own special niche. Attendees will gain a new perspective on making good decisions and getting a bigger bite out of life. Andthey'll be smiling for months to come! Ever notice that life rarely turns out as expected? Make the odd twists on your route positive, and move forward with confidence as you re-draw your map with the pen of reality! Rethinking our route guidance system is often overlooked as we trot about layering more "stuff" on top of what is already there forgetting to consider our own mileposts, speed limits and passing zones. Emory approaches this intriguing life-mapping exercise with strategies, humor, and attitude! Is your "branding iron" hot? Are you effectively stamping your brand on everything you touch? In todays global market, your closest competitors may be on the other side of the world as well as just around the corner. Every new day brings incredibly complex name recognition and selling challenges. Meet them head-on with strategies for delivering punch and impact to your sales and customer service roles. Master Emorys creative mindset for outserving, outselling, and outbranding your competition. Todays hot topic - How to propel your clients and customers into absolute fidelity to you and your brand! Outserve your competition by weaving closer ties with those who vote with their dollars. Build trust, loyalty, effectiveness, appeal, and profit. Put on customer glasses; see and grasp what your clients' highest needs actually are. Discover the mindset and develop the skills to act on every aspect of doing it right. Court your customers and they will say "I do!"